An engagement ring is a memento that symbolizes a pledge of your love. The Wedding Ring Shop in Honolulu helps you find the ring they’ll never want to leave home without. These unique engagement rings have been created by the world’s most admired jewelers like Tacori. 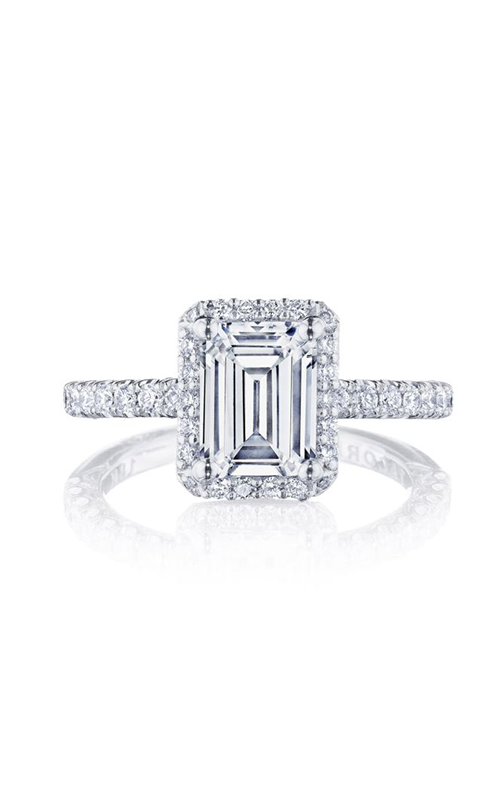 Tacori offers this showstopping ring that speaks volumes. You’ll be able to explore all the products you love located right here in Honolulu, Hawaii. The HT2572EC8X6PK is a milgrain, vintage style ring that is loved by all. This halo ring goes well with anything, especially a wedding dress. The 18k rose gold design is simple yet bold. Watch her fawn as she stares in awe at the princes center stone. Held in a prong setting, the crown jewel sits impressively on the band. The 0.50 ct diamonds are taken and delicately carved into round shapes. The center stone is not included (sold separately). The Wedding Ring Shop in Honolulu caters to any type of ring preference. We promise to help you choose the perfect ring for your loved one. The Wedding Ring Shop is proud to offer a large collection of brands that you will cherish.